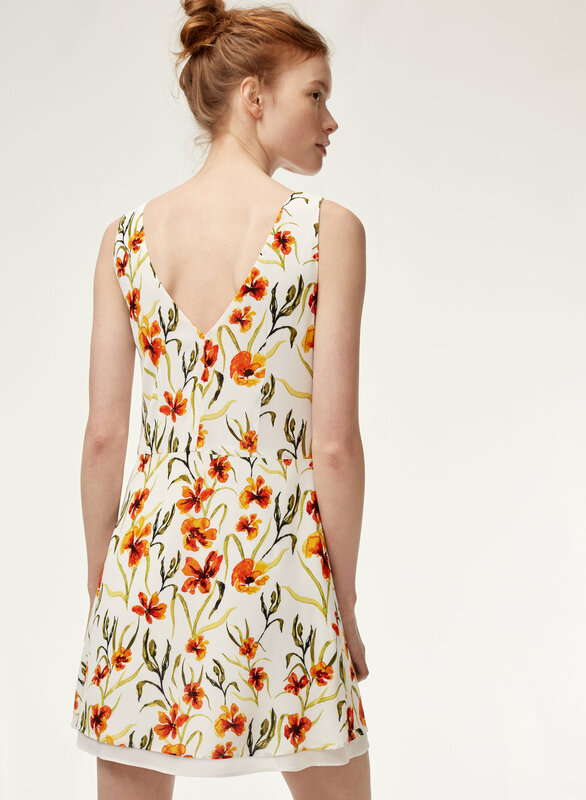 This fit-and-flare dress is made from textured crepe that drapes beautifully — its custom floral print is based on a painting by our in-house artist. 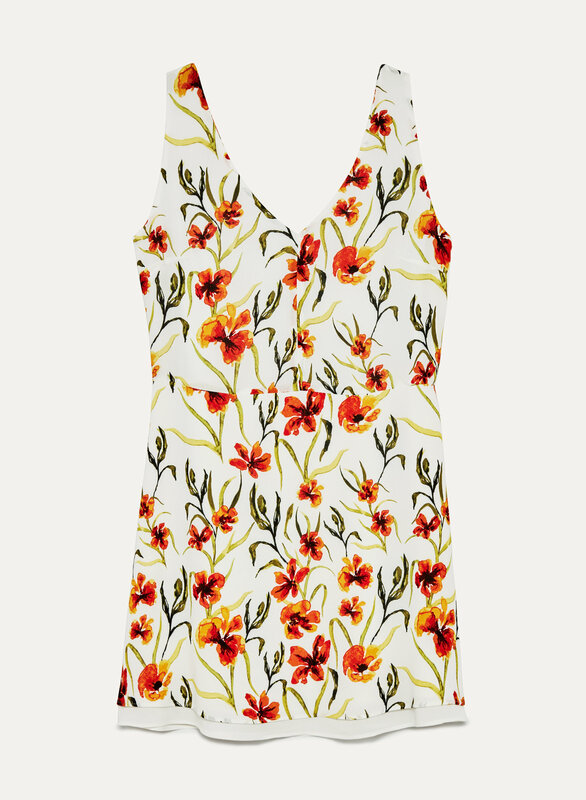 A deep front and back V neckline and tailored darting on the bodice make for a flattering fit. 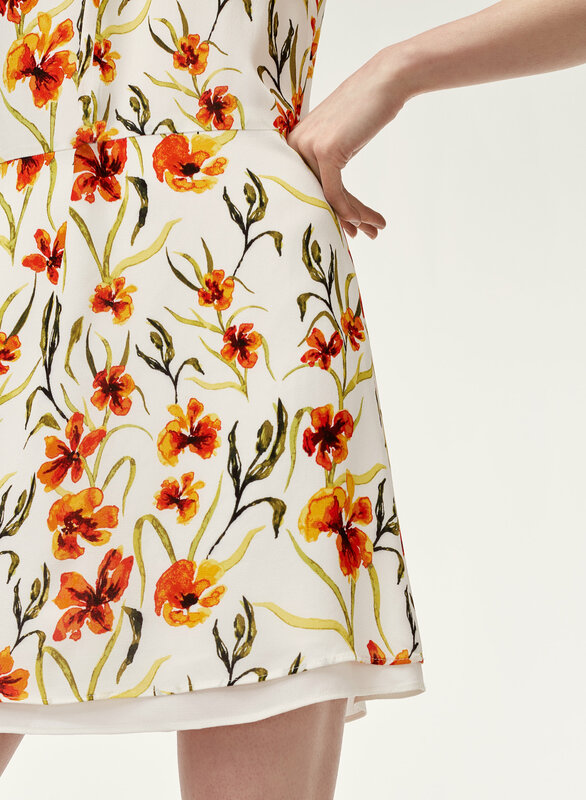 The bottom of the skirt peeks out from under the top layer.